Last weekend, we took Kedaar to Zoo. 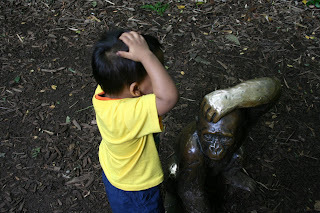 This is his first time visit to the Zoo. 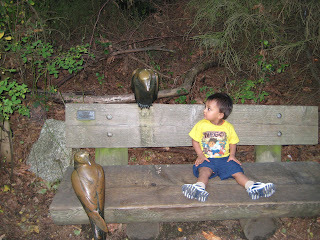 Kedaar had lot of fun at the Zoo looking at all animals. He already knew several birds and animals from books, TV and could speak and identify bear, snake,dog,cat,pig,zebra,deer,cow,fish,sheep,rabbit,meka(goat),spider,iguana,lion,duck,lamb,udutha(squirrel)etc. He was very excited to see all of them real. talking now a days and he became expressive too while he talks. Its amazing that he always has some thing to say to every one in every context. 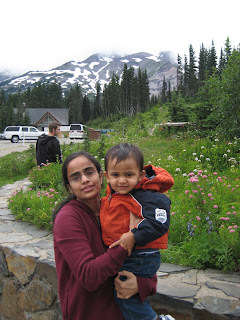 Kedaar turned 21 months on August 8th. 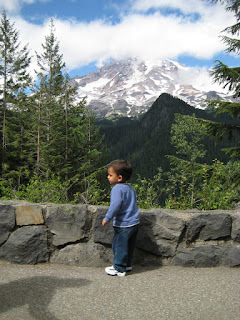 We went to Mount Rainier yesterday. 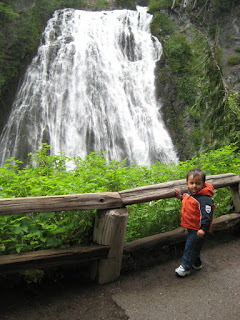 Kedaar had lot of fun with water falls and seeing the mountain. This is second trip to that place.Here are some of his recent pictures.